Dear PC user, if you want to upload your books to the iBookstore, it’s time to find a friend with a MAC (sorry). The intent of this article is to give you a brief overview of the iTunes Producer application that is available free from Apple. iTunes Producer is used to upload your EPUB file (which you should already have created and is the topic for another blog) to the Apple’s iBookstore. This is where books can be purchased and read on the iPad, iPhone and iPodTouch. 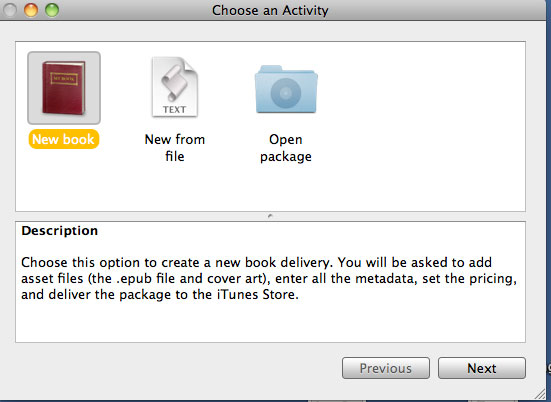 Apple provides two avenues for getting your product, in this case your eBook, to their store (iTunes). The first is an actual “app” (or software application) that contains your eBook. This “app” has been created by a computer programmer and allows the user to read your book with it’s own eBook reader included as either part of the application itself, or perhaps it may be grouped together with a customized eReader “reader” application from a vendor other than Apple. Books that are presented as apps within iTunes usually include multimedia files (i.e., special audio, video, or animation). You will not see these books listed in the iBookstore. They will be available for sale under the apps at iTunes. iBooks that are published directly to the iBookstore are managed using iTunesConnect, an internet website for authors who publish their books as iBooks. Please note that you must have an iTunes account in order to upload your book to the iBookstore in order to use the iTunes Connect website. Again, sorry PC users, you will need a MAC to play this game. 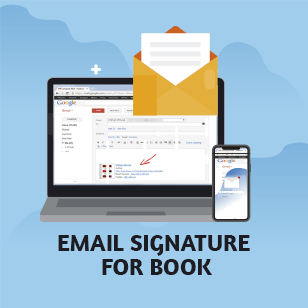 To login, go to: http://iTunesConnect.Apple.com to either create your publisher account or view your published items. After logging into the account, you will see the above screen. 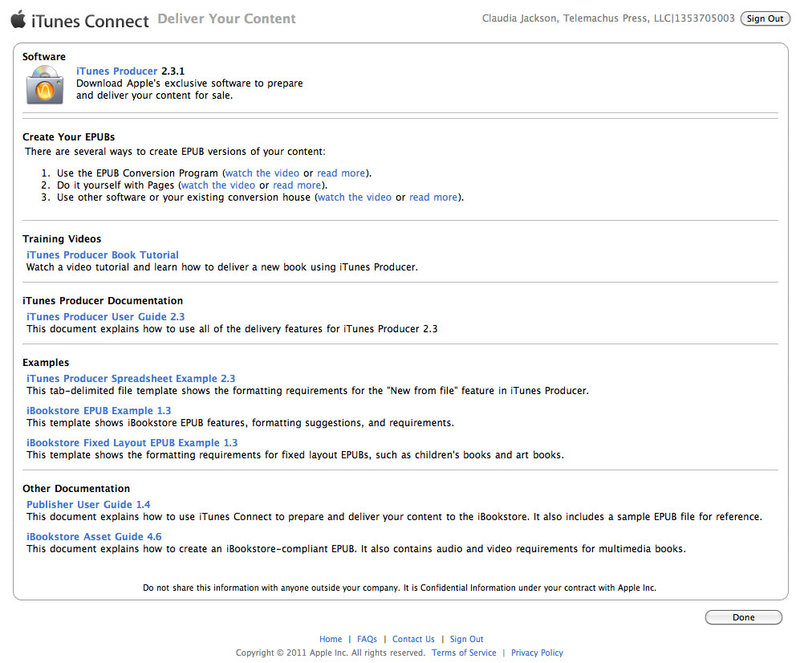 iTunesConnect is the website where books are uploaded, managed and sales are viewed. It is at this location where you can download the iTunes Producer software. This software is used to upload your EPUB file to iTunes. Take the time to read through the tutorial and training videos that Apple provides! iTunes Producer creates one file with all the information about your book. The prefix of your file name will be your ISBN number and the suffix will be “itmsp.” The file name will be, for example, 9781936670025.itmsp. 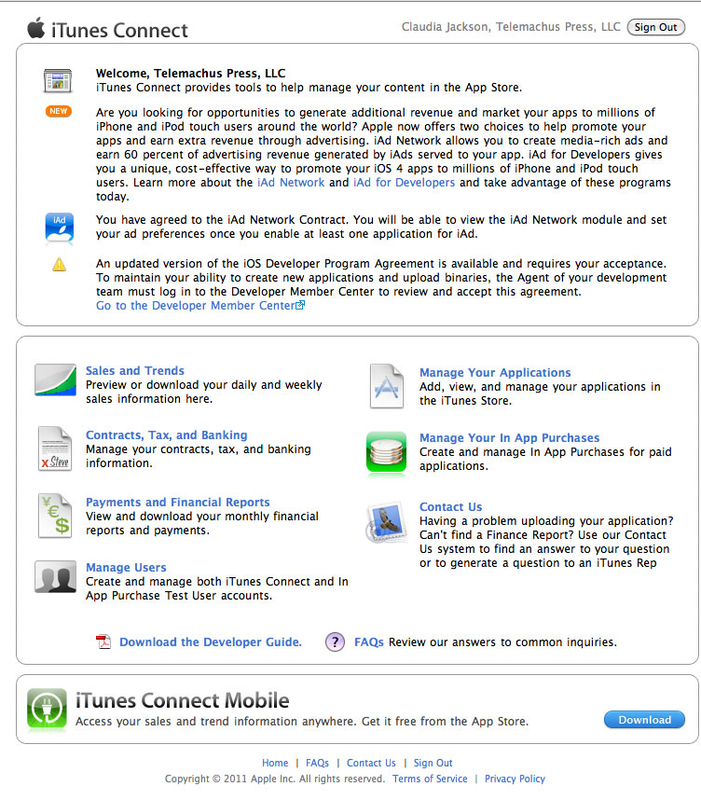 After opening the application the screen on the left appears. This is where everything happens. You can upload a new book or Open a Package. 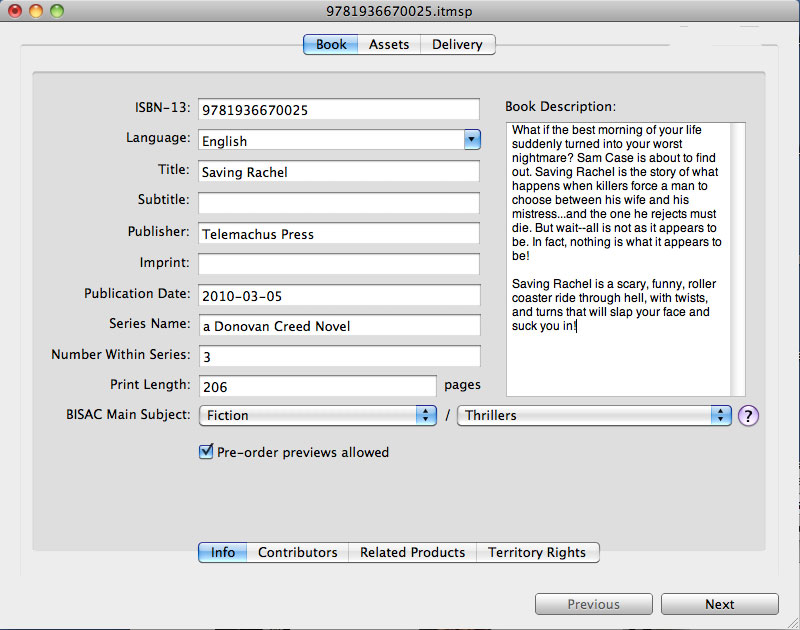 iTunes Producer takes all the information about your book (cover, interior, description, ISBN number, pricing, etc.) and packages it into one file and it is that file that will be uploaded. Continue through the screens and answer the questions about your book, clicking on the “Next” button after each screen. It is important to note that if you already have your book in print, that Apple will require that information. 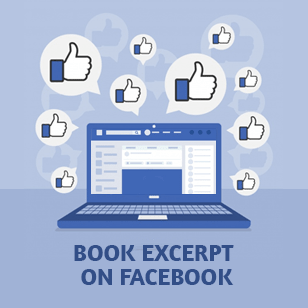 Book – Information about your book. Delivery – The screen where error messages are delivered and the book is uploaded. The BIG GREEN CHECK means you were successful at uploading your book! It’s a little confusing, but now you have to exit the iTunes Producer software and return to iTunes connect to see your book waiting in the queue to be published. The following screen shows the book that was just uploaded. Notice the little yellow dot? That means that the book is pending. I’ve seen anywhere from a couple of days to two weeks for the book to be approved. Once the book is approved, the yellow “light” is replaced with a green light. • iTunes – Where you go to purchase music and/or books. • iTunesConnect – An internet website to upload your content. • iBookstore – The actual store to purchase eBooks. • iBooks – the software application to read the eBooks. • iTunes Producer – the software used to package and upload your book to the iBookStore. The *.itmsp file is going to be automatically saved in a folder called “PlayLists.” If you have to edit your book, you will need to open the iTunes Producer software and open that file. I hope this provides you with an overview of the pieces and parts that are necessary to publish your book at the iBookstore! 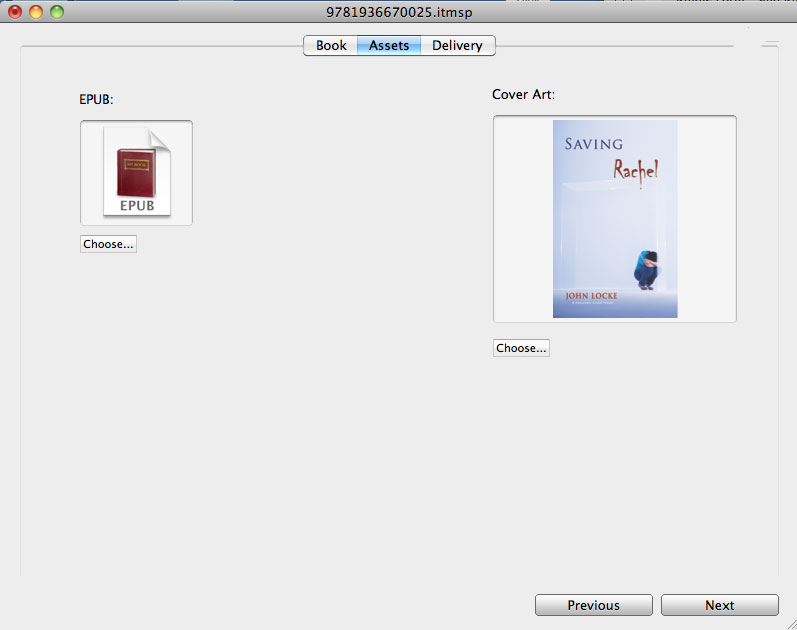 FIrstly, thank you for your informative article on uploading ePub files using iTunes Producer. I have looked carefully at your images and recommendations, logged into my iTunes Connect account and tried to find where to download iTunes Producer. I cannot see anywhere the link you have cited in your article (the image of my iTunes Connect page is different to yours). Thanks for your note. Sorry I have not responded sooner but I am traveling internationally and my internet access is a little “iffy.” Anyway, can you send me a “screen-shot” or link of what you are seeing? Perhaps I can be of better help. One thing I have noticed: the iTunesConnect account for IBOOKS and the iTunesConnect account for SOFTWARE DEVELOPERS have similar screens, but they are different. I have an Apple Developer account and I found a similar confusion. By any chance do you have an iTunes Developer account? You need to connect to https://itunesconnect.apple.com/WebObjects/iTunesConnect.woa for the iBooks account. Additionally, I am in the U.S. and that may make a difference. Thank you! What if your light is red instead of yellow? What does that mean? It just says “Not On 6 Stores.” I did the delivery on the iTunes Producer. Oh, I am so sorry, but a red light means that the book will not publish for one particular reason or another and something needs to be fixed. “Not on 6 Stores” refers to the different Apple distribution channels or stores (US, Canada, Germany, Australia, UK, and France) – the book will not be published to these sites – it was not successful passing Apple’s EPUB file or meta data checks. Did you receive any error messages when you uploaded the file? I would suggest that you drop Apple support an email and ask them. Also, if you send me a little more information, I may be able to be more helpful. Seems I have just run into this same problem. Did you try and upload the file more than once? Did you edit the file and send a new copy? I’ve come across a very helpful link. This is the first time that I have personally run into this issue so I’m now troubleshooting it directly. I received an immediate red light after uploading a book. Hmmm…..
Now you’ve got me thinking…..
Having just been approved for Connect just what I was looking for Claudia. Great article. But no PC for uploading files, Gutted! It is December 2011. I have been approved to upload ibooks and given a link to the itunes connect. It isn’t there and when it comes to getting a response from apple, it just doesn’t happen. do you have a clue? I have applied to iTunes Connect, but heard nothing so far (not even an acknowledgement of application). 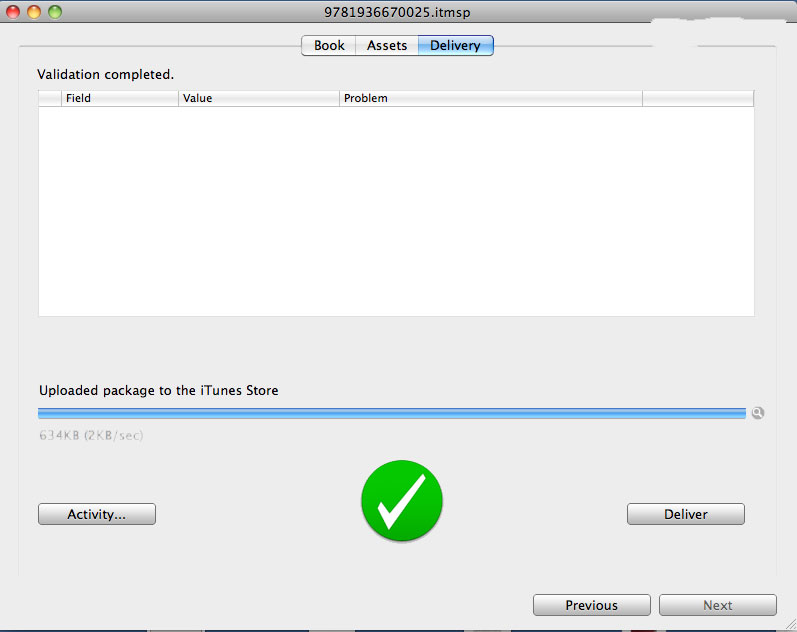 How long on average does an iTunes Connect application for the iBookstore take for approval? It should be fairly quick. But I must ask, however, do you have a PC or a Mac? You need a Mac (or a friend with a Mac) to upload to iTunesConnect. Unfortunately, I have seen responses from a day to over a month. It really hasn’t been consistent or predictable. However, it does seem to be improving. Firstly, may I thank you for your reply on 9th May 2011 – I just found it and hadn’t yet realised you’d replied. I am most grateful that you did however. I do have a developer account, but not iTunes connect account for Books. This is such a painfully opaque system! May I just check: do you have two iTunes connect accounts then: one for Apps and another for books – both quite separately? It puzzles me that there would not be a unified account for both. 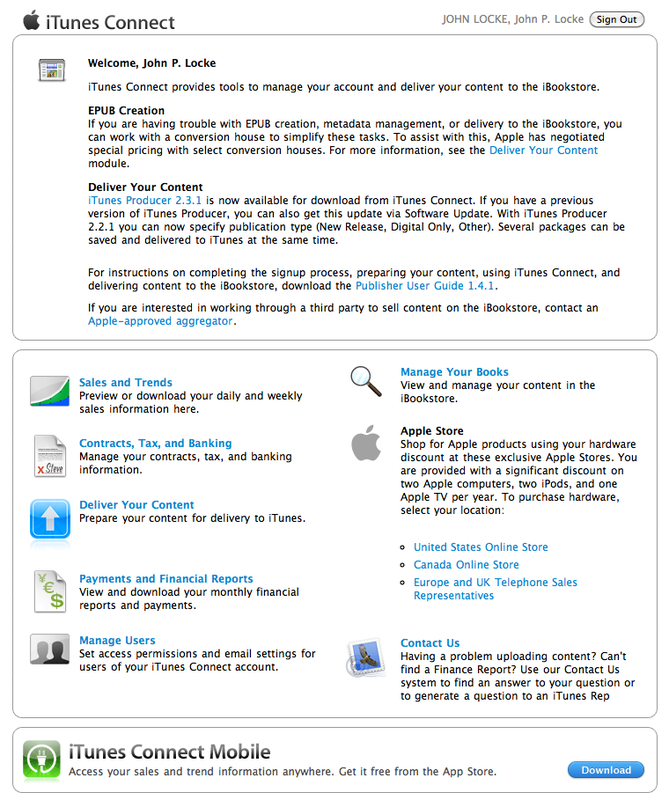 Is the process of opening an iTunes Connect account as cumbersome as that for a developer (App) account? I’m so glad you dropped me this note because I recently had this experience with one of my customers. The answer is YES. You need to have TWO iTunesConnect accounts. 1. He tried creating an iBookstore account, but used his existing “Developer Account” Apple ID. 3. He then used an different AppleID email to create an new iBookstore account. when he got to the “contracts” part of the process, iTunesConnect DENIED the financial information. The error message was that there was already an account that existed with the same EIN# (Financial ID or Social Security Number). So now, the iBookstore account was “kinda/sorta” created but the process was not completed. There is no telephone support for the iBookstore, although there is telephone support for the Developer Account. The Developer Support Team isn’t equipped to fix the issue. …..we are finally making progress…..
….The CONTRACTS team in the iBookstore needs to manual fix the account. We are waiting. Use a DIFFERENT Apple ID for the iBookstore if you already have a developer account. Keep those two worlds apart. Lesson learned the hard way. I had not come across this because although I have a developer account, it was on a different Apple ID than the company’s iBookstore account (this was by accident and I got lucky). Karl, I hope this makes sense. Let me know. There seem to be a shortage of experts with detailed knowledge on this subject so I was glad to find this page. 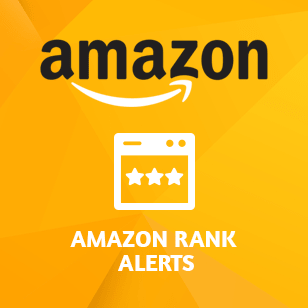 What has been your experience in getting a publisher iTunesConnect account approved time wise? Am I looking at 2-3 weeks or 2-3 months? When you call Apple, they just redirect you to their FAQ page which has no information. My account finally came through. There was time for Apple to review and then, since I had only just received my ITN (I’m an Aussie), there was another delay because my EIN did not show up in the IRS database that Apple checks. The IRS web site says that TINs can take two weeks to be available in their database. So be patient. Then before you can publish there is a contract that you “sign” by clicking the “I accept” button. I strongly advise you to download the PDF version and review it in detail before you choose to accept. I have yet to see a consistent response time from Apple for account approval. The average wait time has been as little as a few days, but I have also had some that took weeks. I wish I could give you a better answer. And unfortunately, the ONLY tech support for the iBookstore is via email. 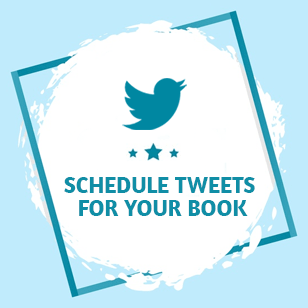 If you don’t hear in a timely manner about your account, contact iBookstorecontracts@apple.com. James makes a good point above. Make sure that you “sign” the contract agreement by clicking the “I accept” button. I also think that downloading the PDF version makes it more definitive that you have accepted the terms and conditions. 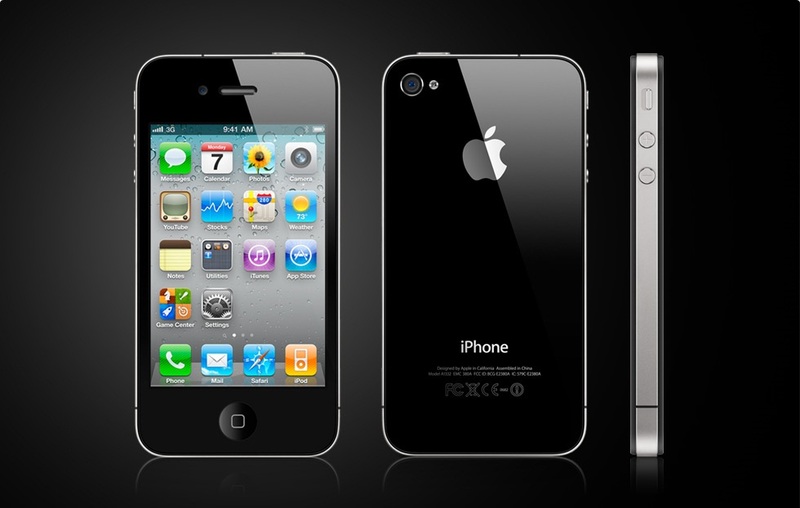 Additionally, Apple changes their contract terms from time to time but does not notify the author. Keep your eye out for this as it could “hold up” the uploading or updating of your book. 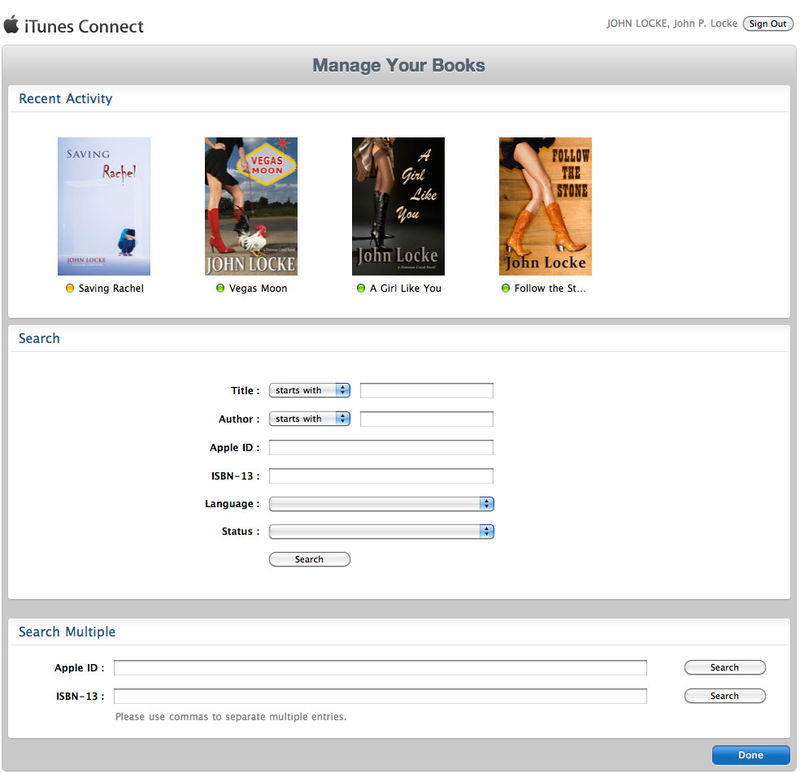 The second iTunes Connect account for books. I am now armed and ready and about to publish to the iBookstore. Phew … it’s simple enough (although tedious) – but only if you know what your doing. We had to sign-up for an Author Central account with Amazon … to get to print a letter from them to give to the IRS, which corroborated our application to the IRS for a US Tax ID (the one piece of info missing in our attempt to sign-up for an iBookstore iTunes Connect account). The basic premise is that one does indeed need one account each for Developer (Apps) and iBooks (eBooks). I am, of course, delighted – and must thank a certain Ms. Stephanie Zia for the advice she provided the world … leading to resolution of this otherwise opaque matter. I think it is important to mention that for people who do not have an Apple, but are still in the ebook business can get tings done without buying an apple. 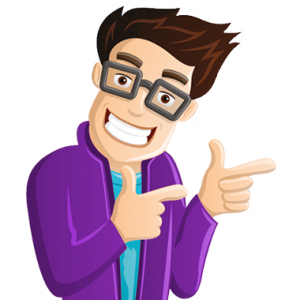 I do not want to mention any websites as I don’t work or am trying to endorse anything, but there are many website that allow you to access apple servers remotely or through your windows pc, and you can use that to access your publishing account on apple and download iproducer and upload your work. Some of these websites allow you to pay by the hour, or weekly, so if you have all your work done, it is a very easy way to upload your work.